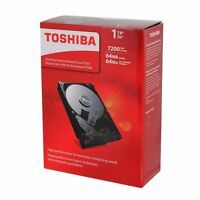 Details about Brand New Toshiba HDWD110XZSTA 1TB 7200rpm SATA III 3.5" - Retail Box! 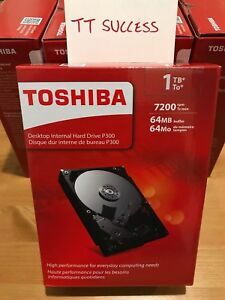 Brand New Toshiba HDWD110XZSTA 1TB 7200rpm SATA III 3.5" - Retail Box! Seagate and Western Digital seem to be having problems so I decided to try Hitachi. I cloned it and it is now the main hard drive in my computer. I have had this for awhile and have not had any problems with it. It is very quiet and works great. I would recommend it to anyone. Good drive has smart tech. 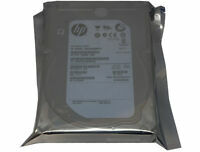 Brand new drive, great as a replacement for an older or failed drive. Sets up as new Windows 10 Pro. Truly plug and play.